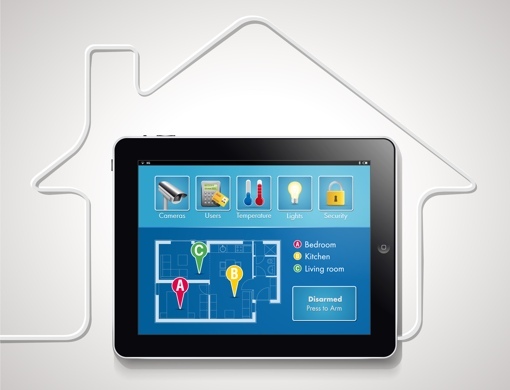 Home automation technology is still very new. Many of us are just getting our feet wet, experimenting with smart thermostats and Internet-connected home security cameras. But for Fortune 500 homebuilder KB Home, home automation tech has come of age. According to the Wall Street Journal, the builder and its competitors are increasingly offering more home automation technology options in the homes they build. In the case of KB Home, the company uses Schneider Electric SA’s Wiser Home Management System to connect a home’s security system, heating, air conditioning, lights and appliances under a single platform. It’s not cheap – the WSJ reports that ordering all the home automation options will set you back an additional $18,206. But that cost is rolled into the home’s price and much of it can be recouped over the life of the home in the form of energy savings. Very few homeowners have chosen to go the route of full home automation given the large price tag. But with basic features like smart thermostats retailing for $250 and under (not counting frequently available rebates from utility providers), many are choosing to embrace partial home automation. After all, if you’re spending $283,600 for a new home (the median in 2014 according to the U.S. Commerce Department), what’s another couple hundred bucks? A recent market report from the Consumer Electronics Association (CEA) estimates that only about 13% of households – both new and existing – own a smart home device. Another survey from Forrester Research pegged the number slightly higher, at 18%. Regardless of the exact numbers, all agree that smart home adoption is growing rapidly. “By 2020, half of households, particularly affluent ones, will be engaged in some kind of substantial aspect of home automation,” explains Forrester Principal Analyst Frank Gillett. If you want to purchase home in a good locality, Laneway House Vancouver is the best home builder. There is no need to give any maintenance charge. home security should be build in such a way that should do the economy in electricity, as well as it helps in maintaining a safe and healthy atmosphere at home. its each part should be channelized in an effective manner.